Reviews of the Olympus M.Zuiko Digital ED 12-50mm f/3.5-6.3 EZ from around the web. I got a production sample of the new Olympus zoom lens, M. Zuiko 12-50mm 1:3.5-6.3, the other day. It is the first weather sealed lens in Olympus PEN M.Zuiko series. A weather sealed lens among ordinary bodies, well, that means there will be soon a weather sealed body. I would guess that the waiting time is probably not even long. The new lens has attracted some net controversy since it´s release, so it is interesting to see what it is good for. The Olympus M.Zuiko 12-50mm f/3.5-6.3 lens is the first weather-sealed lens for the Micro Four Thirds system. It is well built, the exterior is hard plastic. It weighs 212g and is comfortable enough to hand around the neck for one whole day. Just for comparison, the kit lens 14-42mm f/3.5-5.6 from Olympus weighs 113g and from Panasonic 165g. 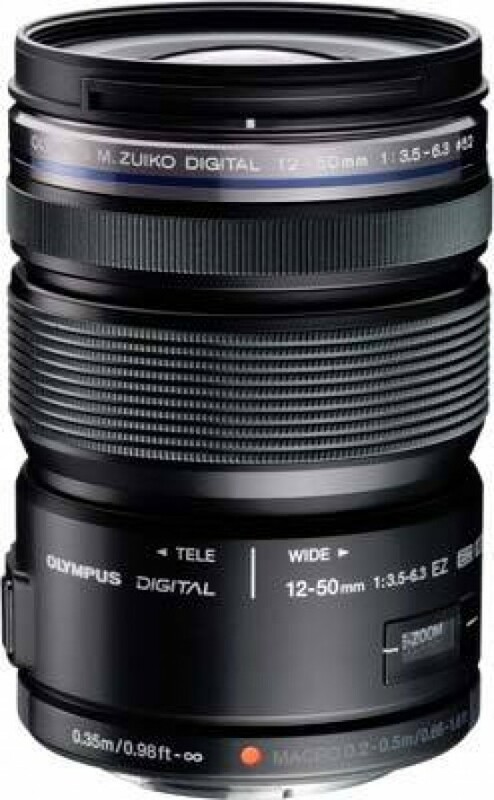 This 4.2x zoom lens from Olympus is compatible with Micro Four Thirds system cameras and provides an angle of view equivalent to a 24-100mm lens on a 35mm camera. Unusually for a lens covering this range the maximum aperture is rather slow at the telephoto end at only f/6.3. This lens costs around £300 and sports internal focusing and zoom, a choice of powered or mechanical zooming options, a dedicated focus lock button, a novel macro function and is splash proof. It is also available in a choice of black or champagne silver finishes.